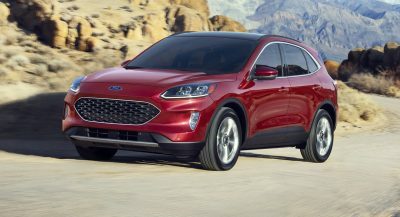 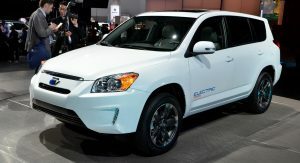 [Updated gallery] Apparently the RAV4 is still around, and Toyota has partnered with Tesla to make a new EV version of the SUV so the common man can be just like Tom Hanks. 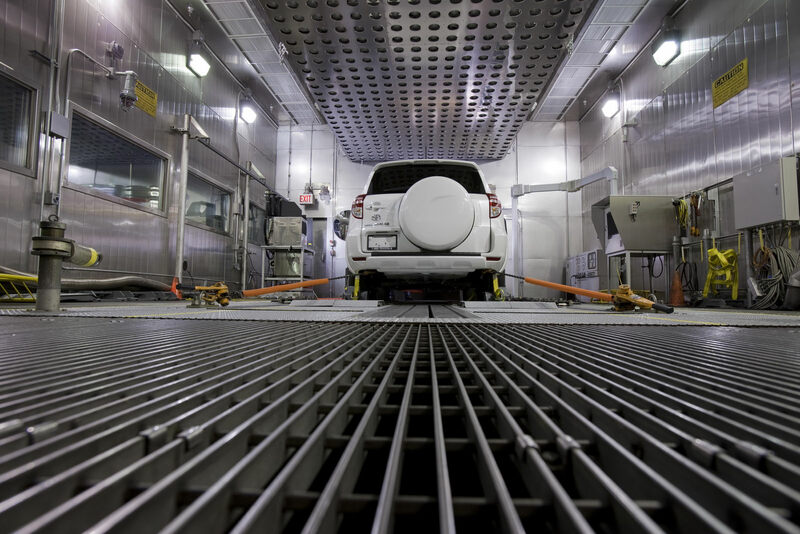 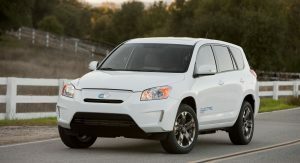 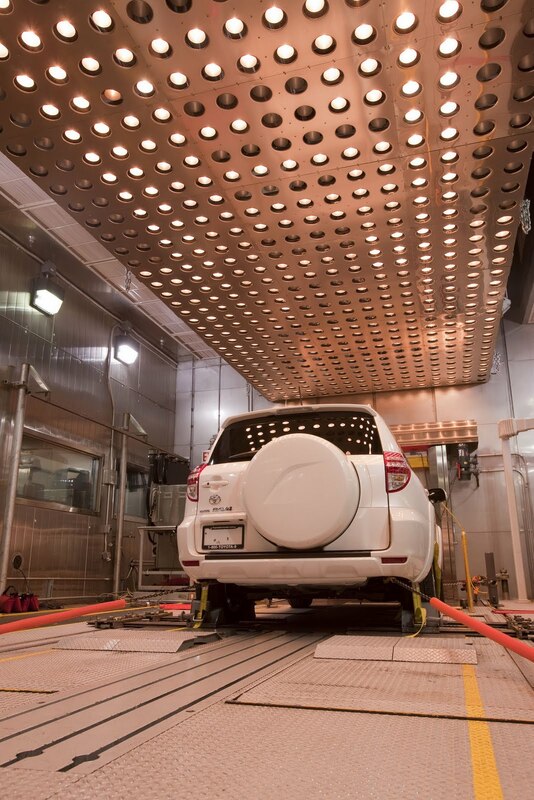 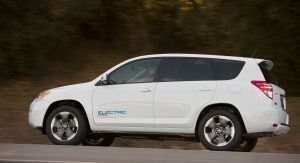 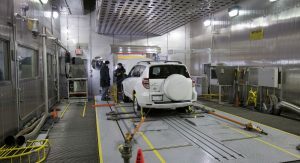 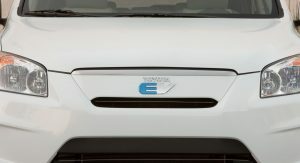 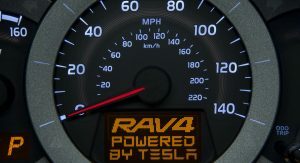 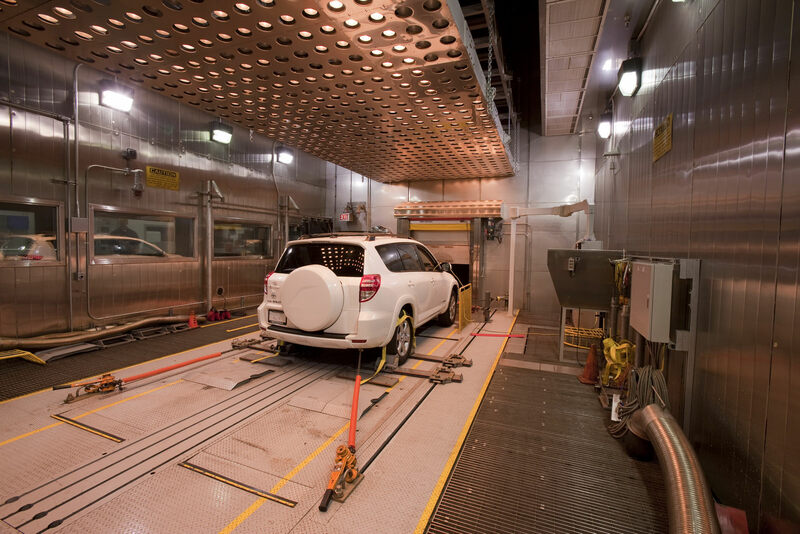 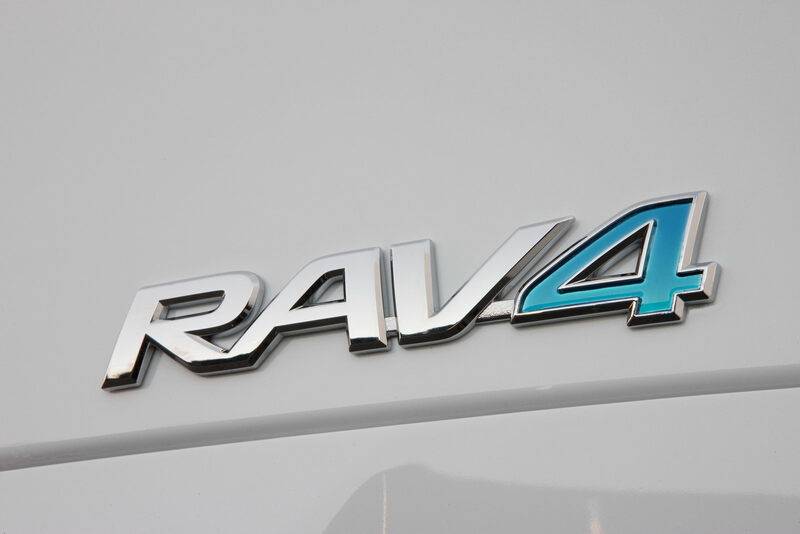 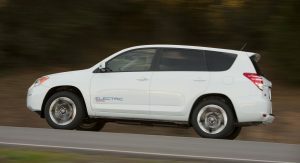 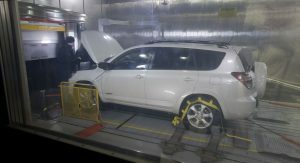 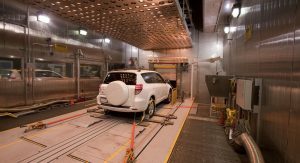 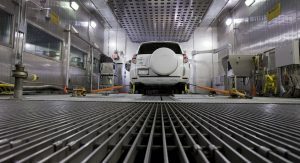 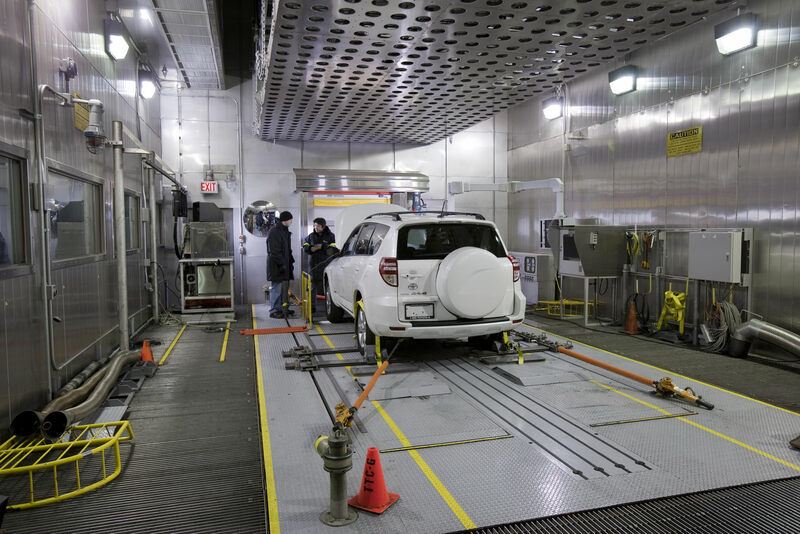 The second generation of RAV4 EV is currently undergoing a 35-vehicle test run and analysis through 2011 (similar to the Mini E’s pilot program), with production vehicles set to start showing up in 2012… as long as something catastrophic doesn’t happen. 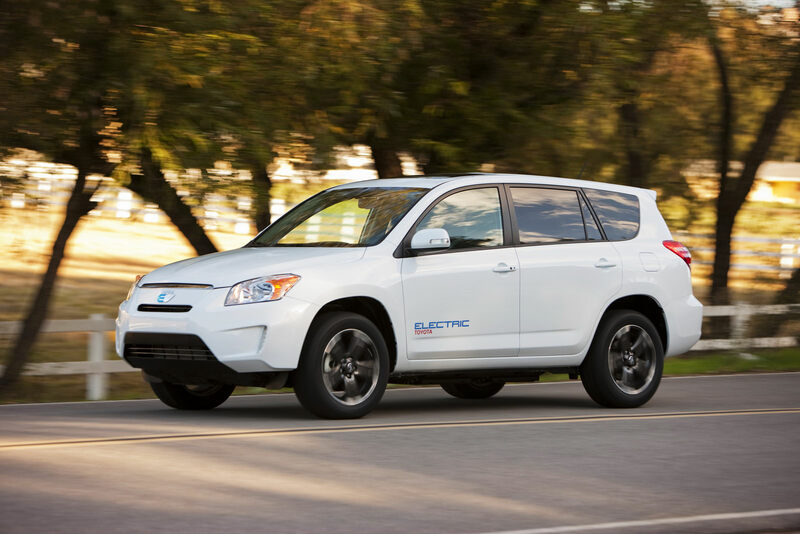 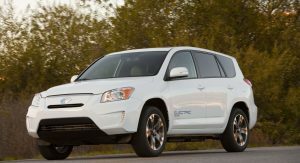 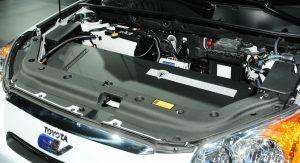 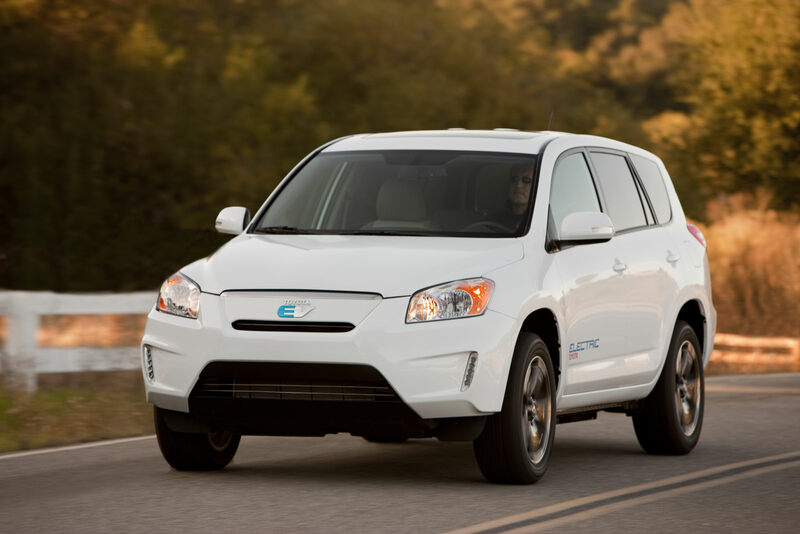 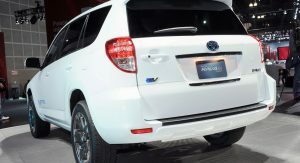 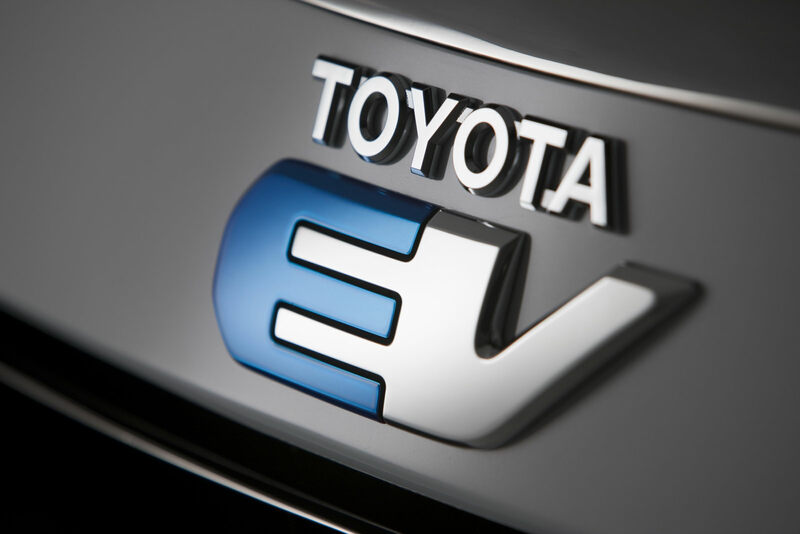 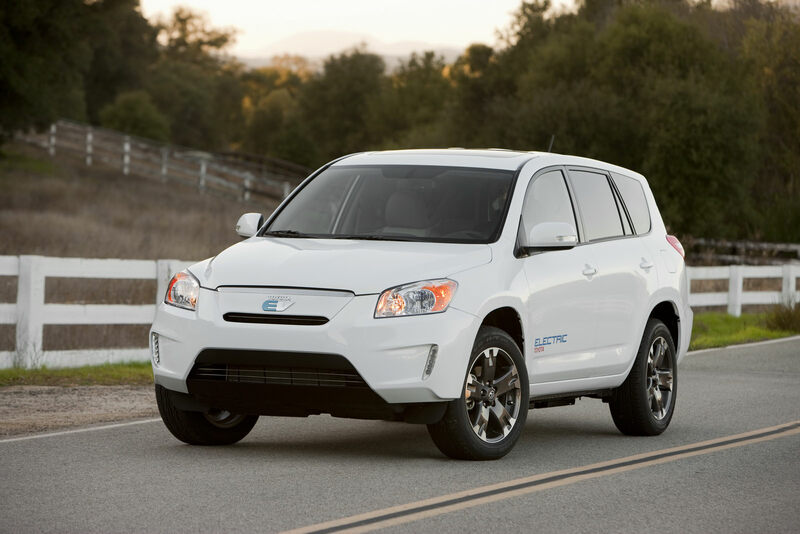 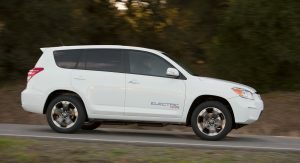 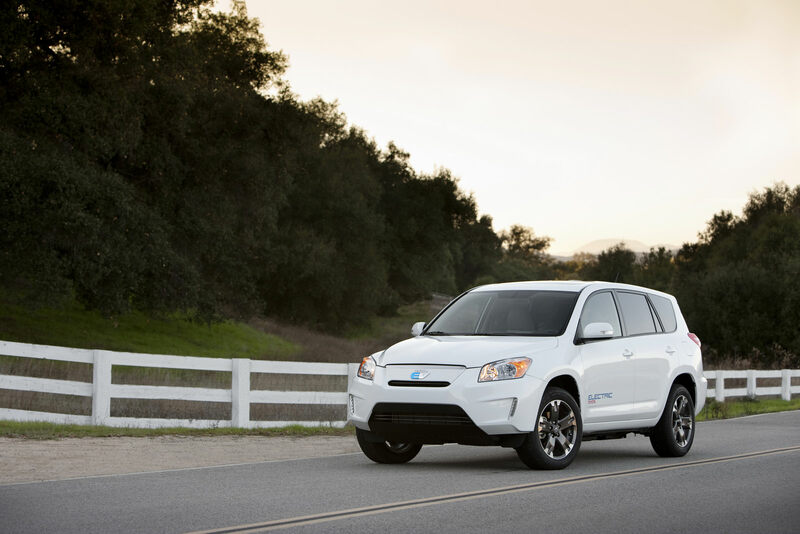 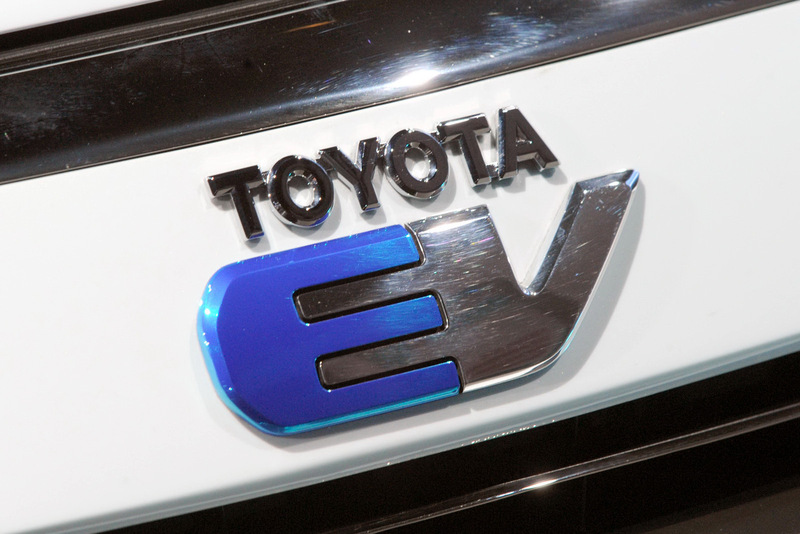 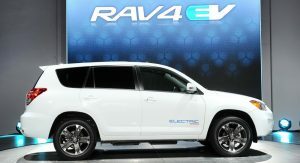 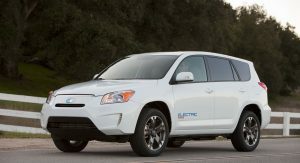 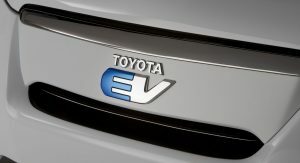 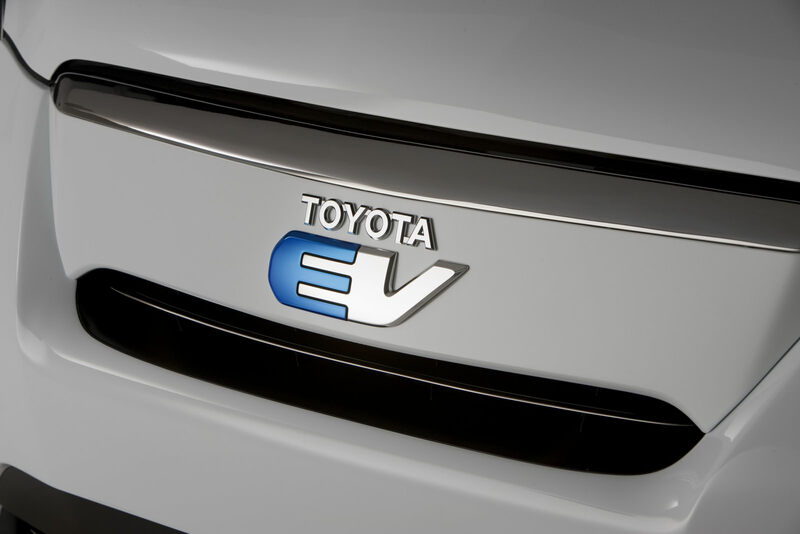 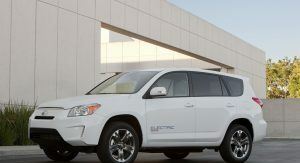 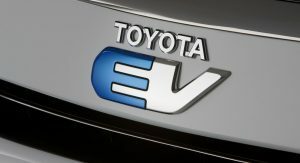 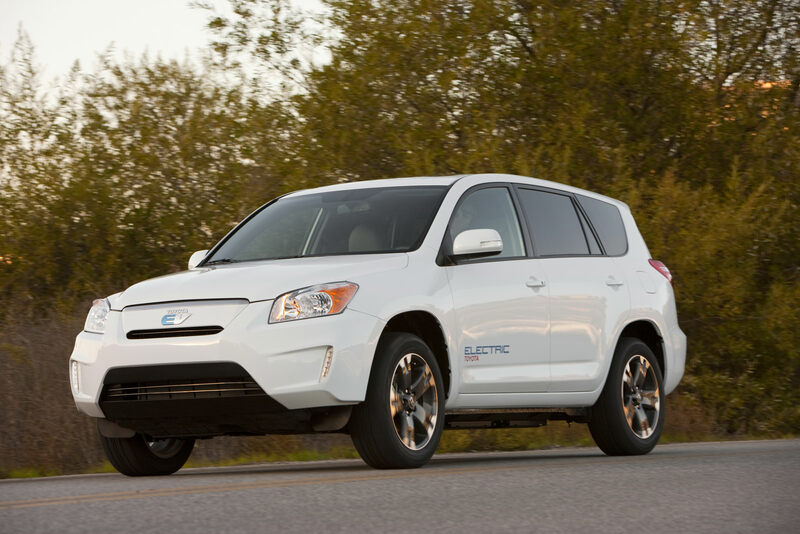 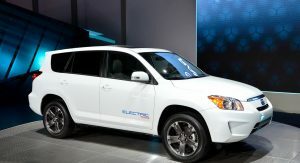 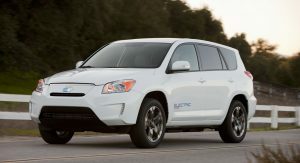 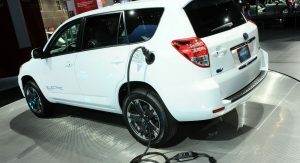 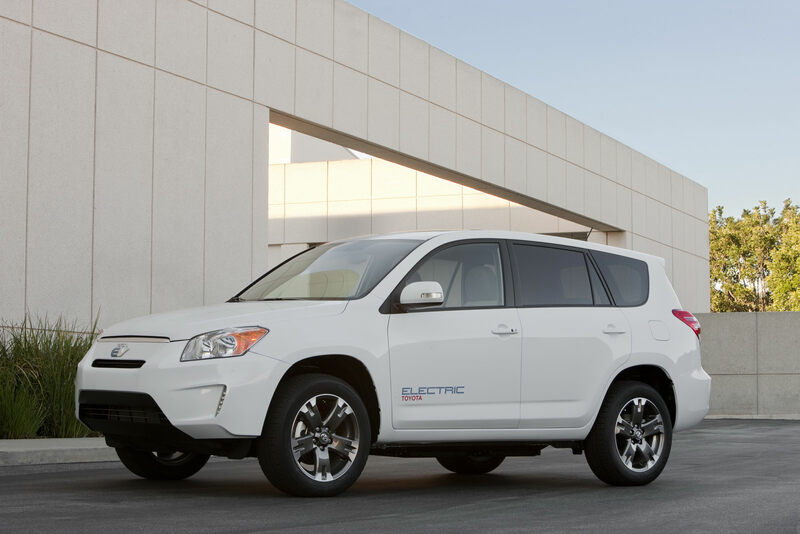 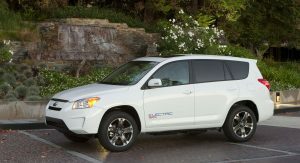 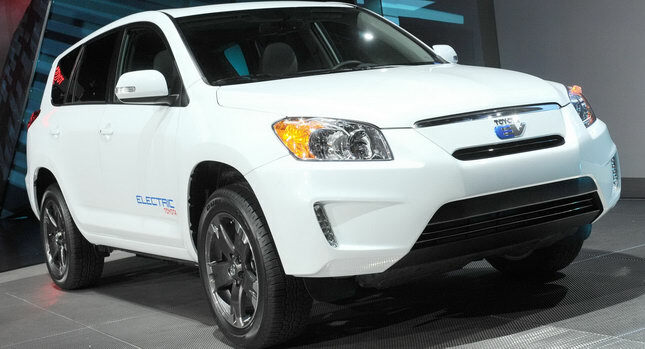 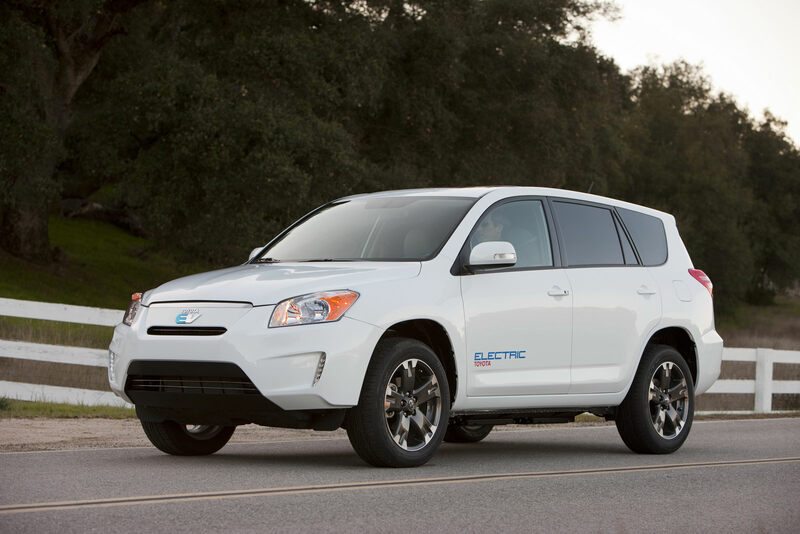 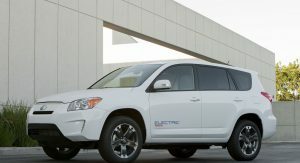 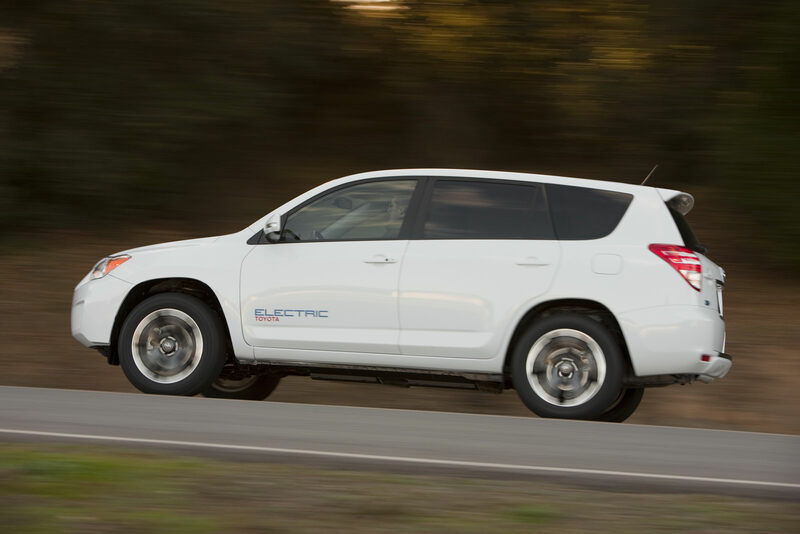 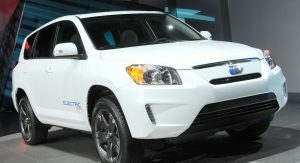 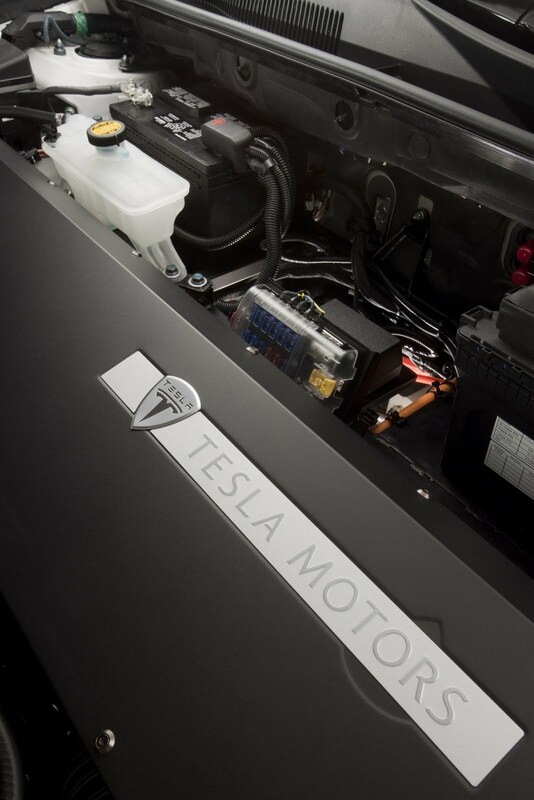 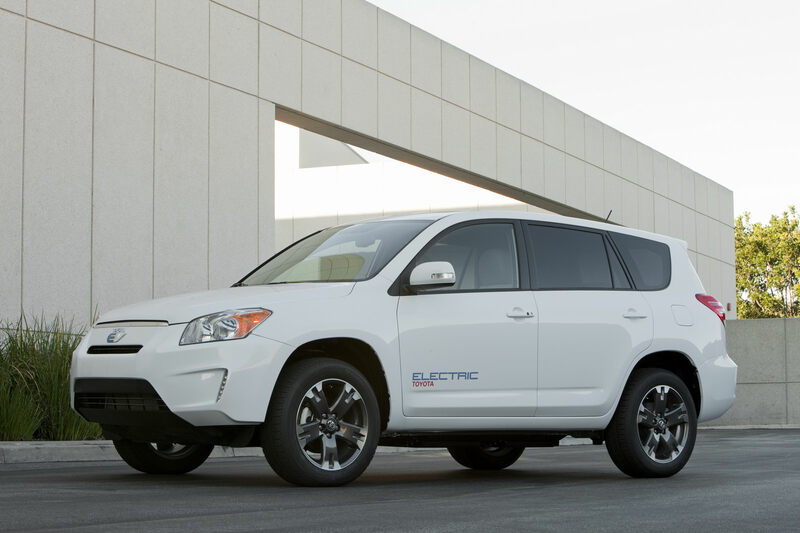 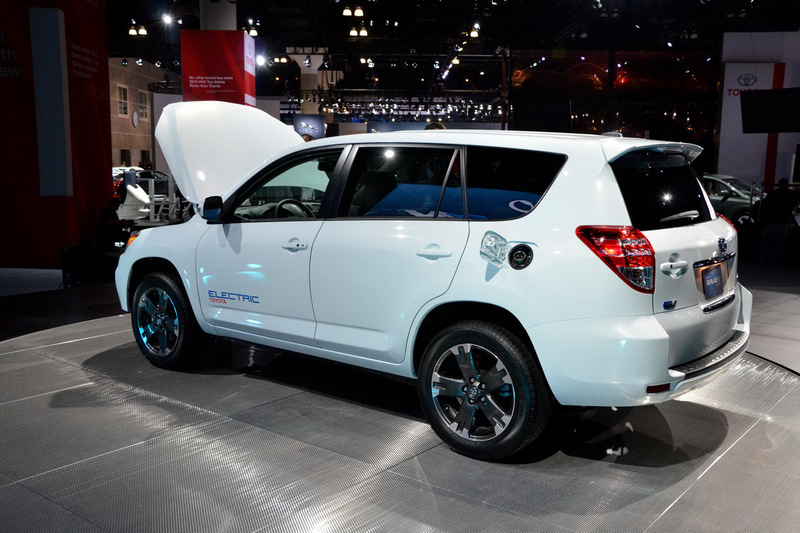 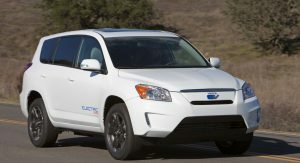 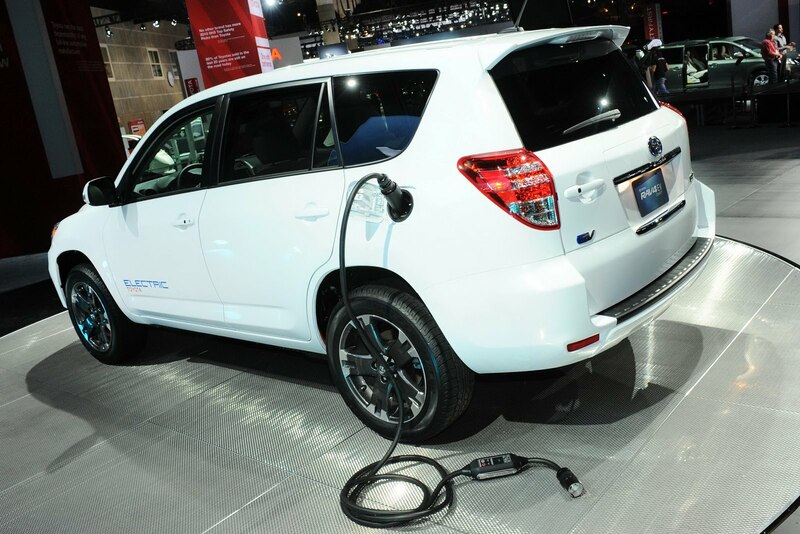 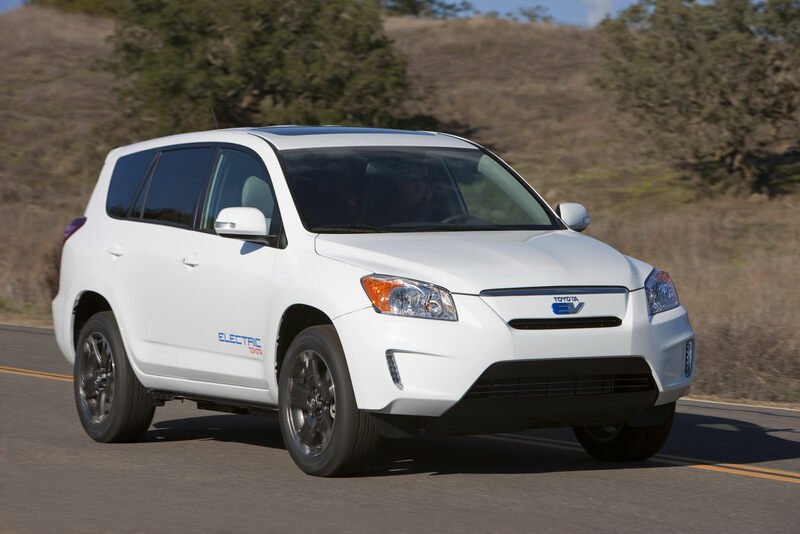 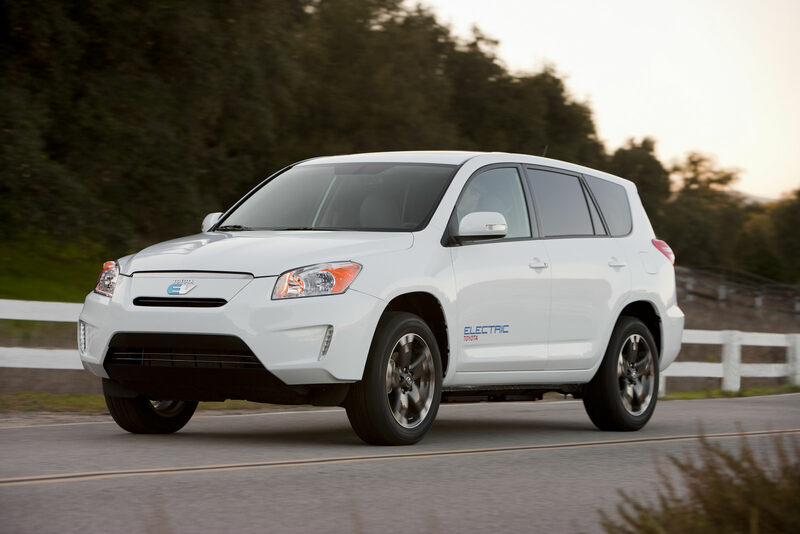 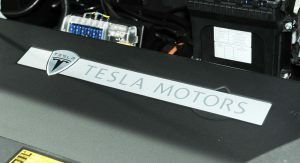 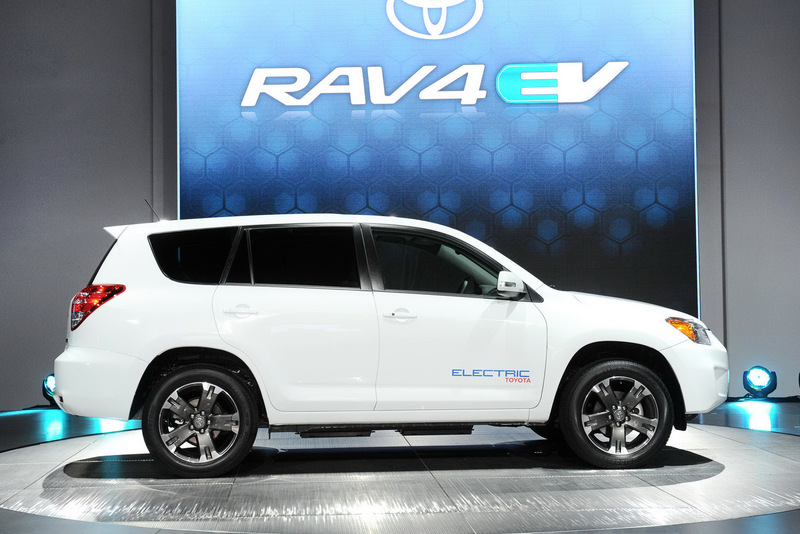 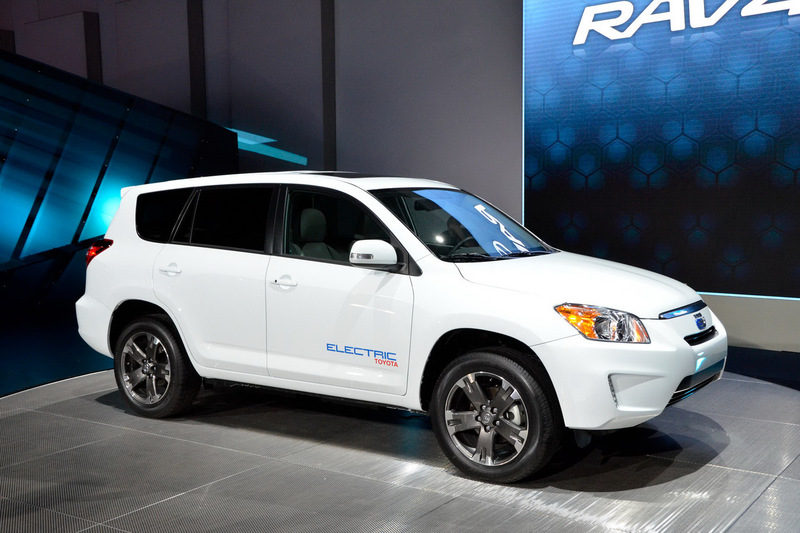 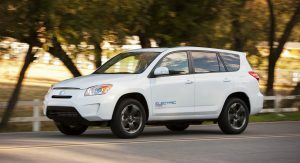 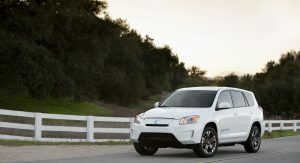 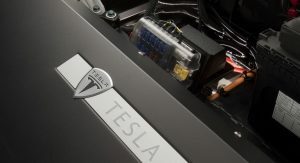 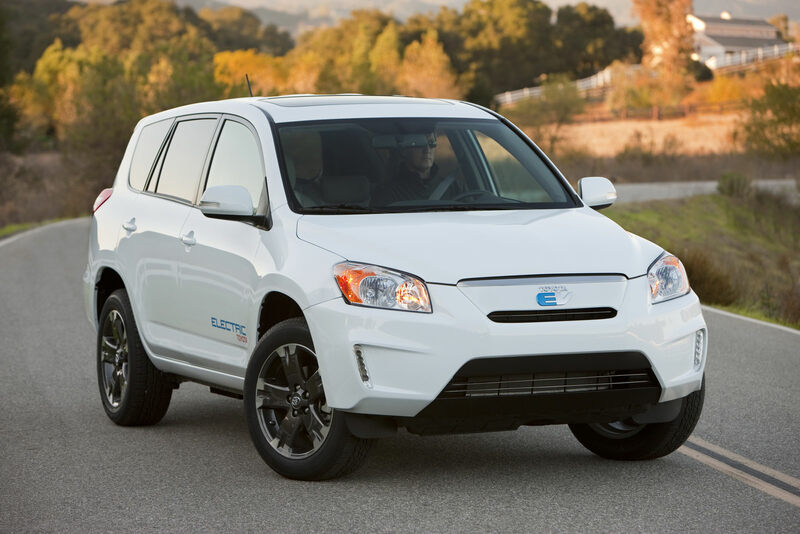 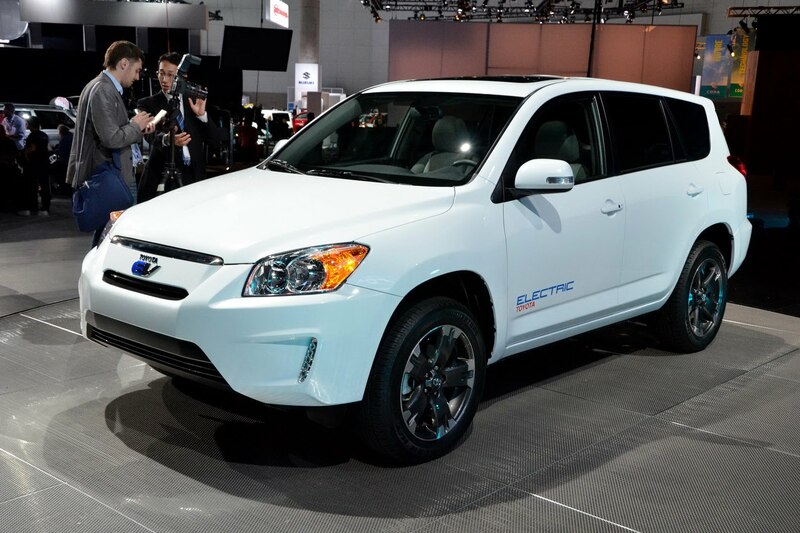 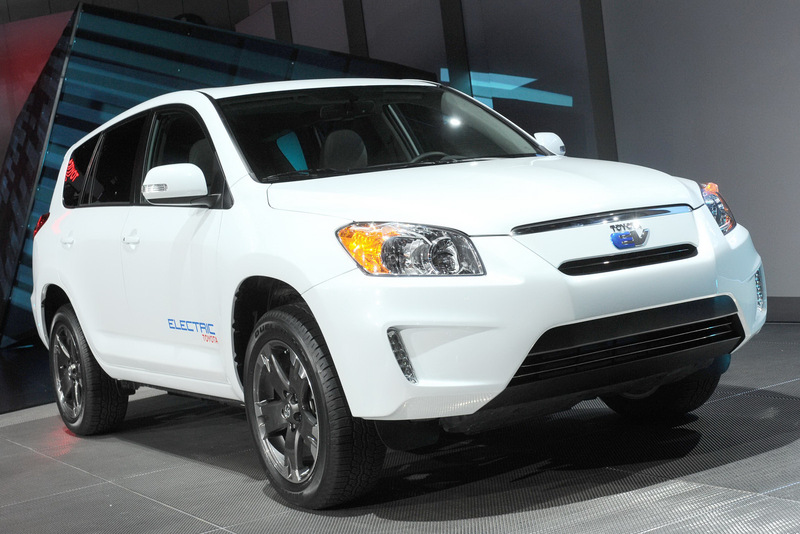 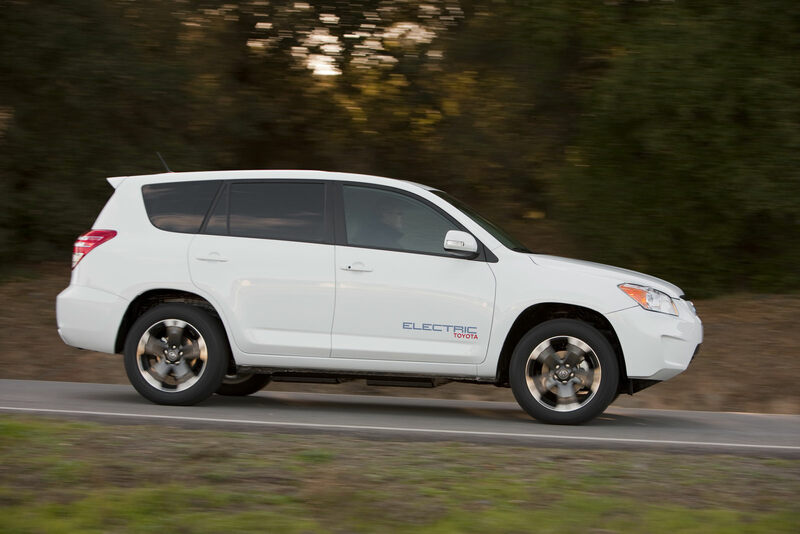 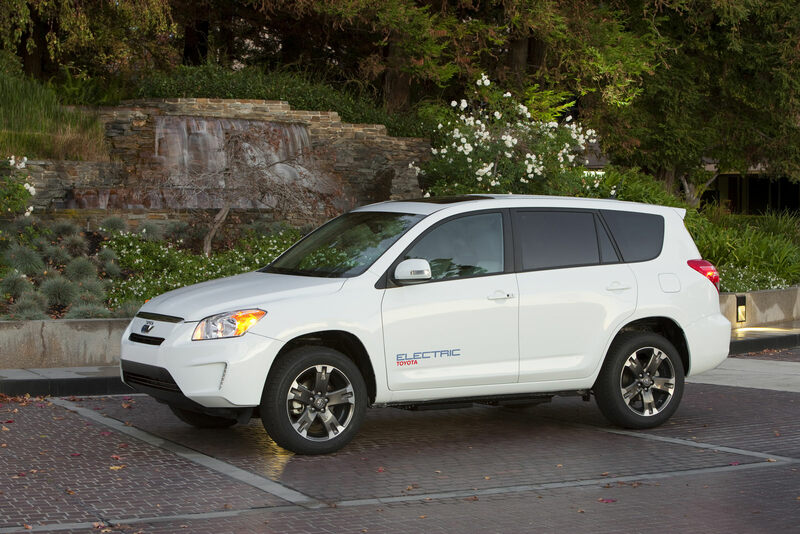 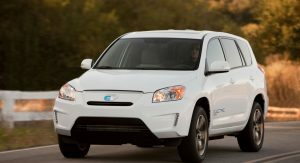 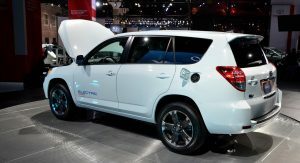 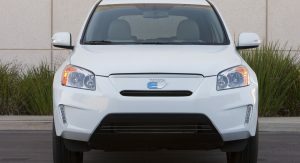 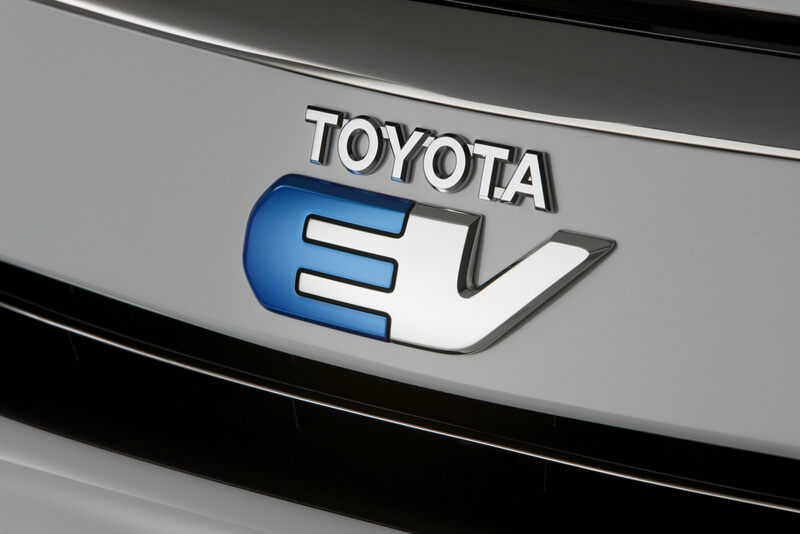 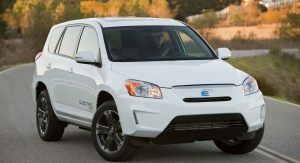 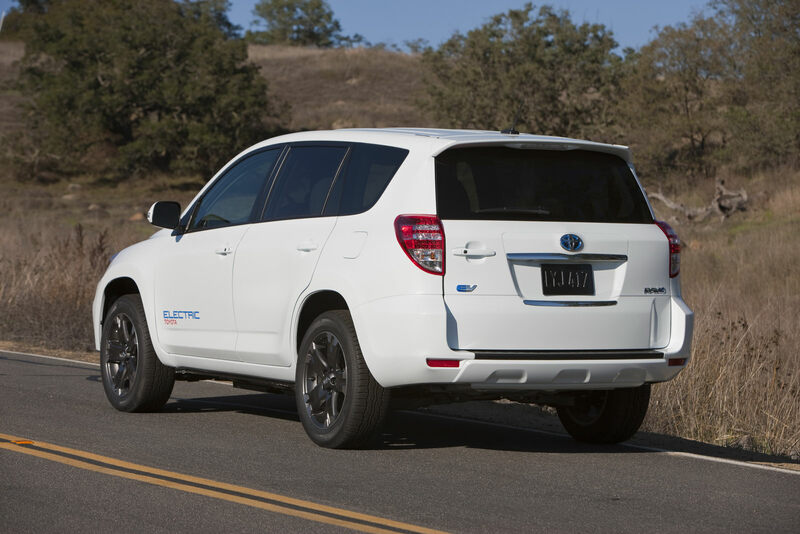 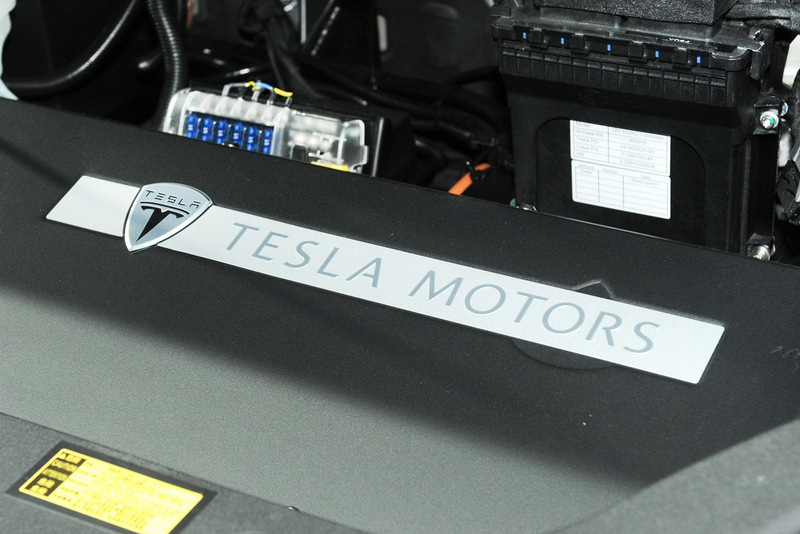 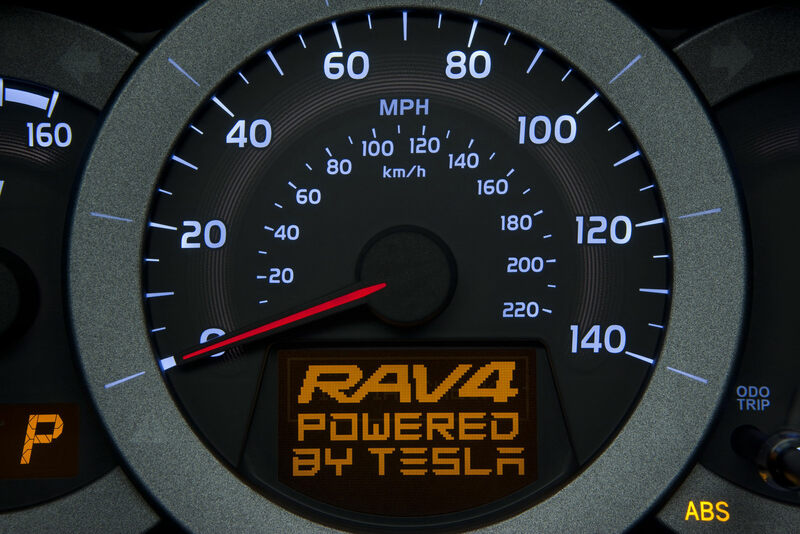 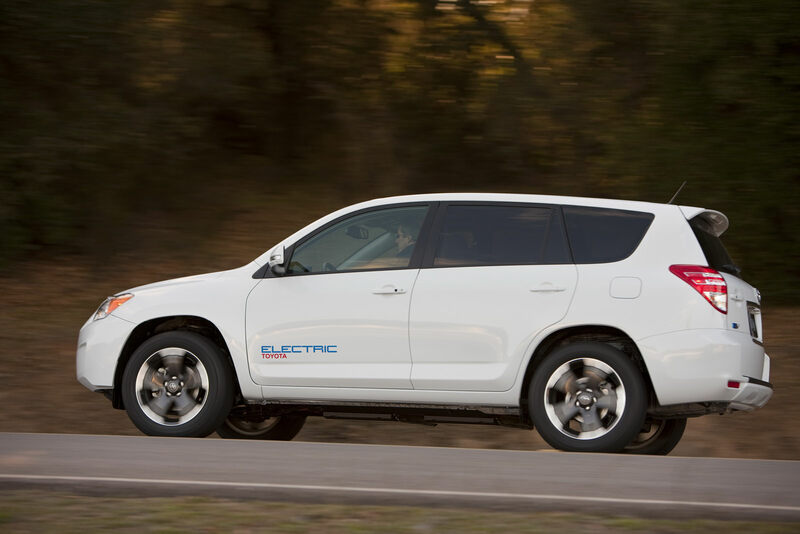 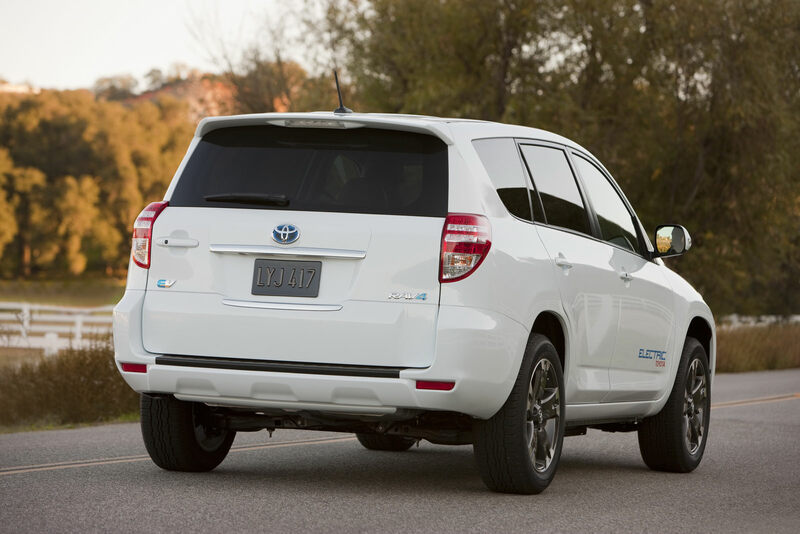 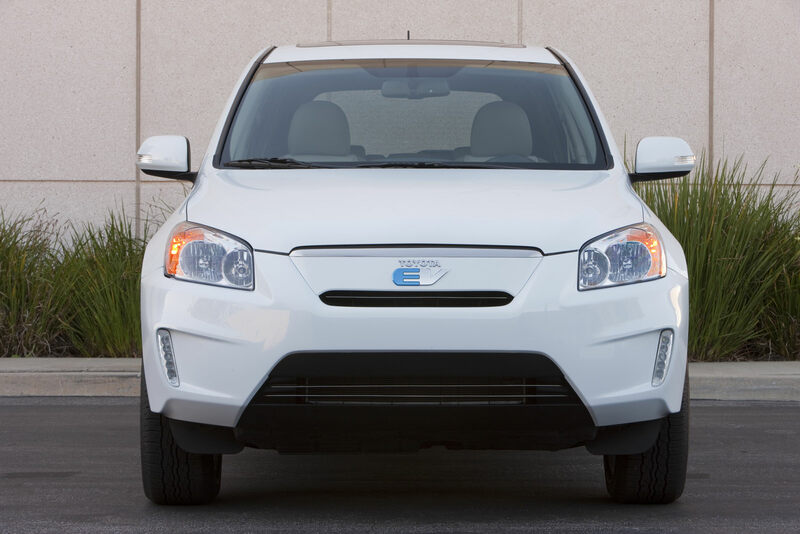 The creation of the RAV4 EV was a two pronged attack: Toyota engineers took care of the powertrain upgrade/engineering as they normally would a mid-cycle product change, while Tesla engineers developed the battery pack and related systems. 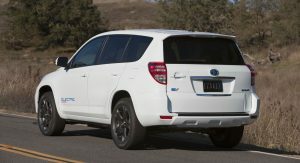 Toyota says that the EV version of Toyota’s CR-V fighter weighs about 220 lbs more than a comparably equipped V6 model, but retains similar acceleration figures. 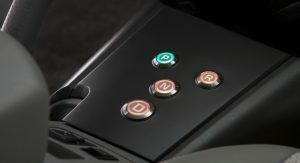 Due to the weight gain (couldn’t we call in Lotus to tackle that? 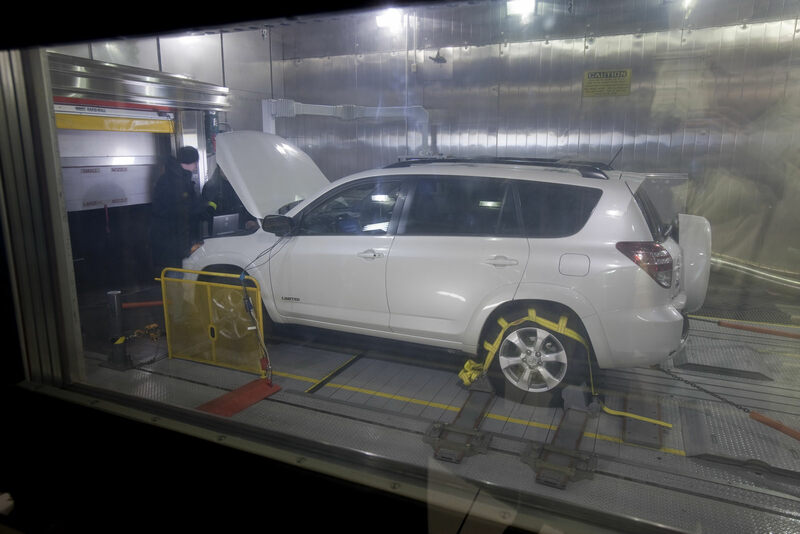 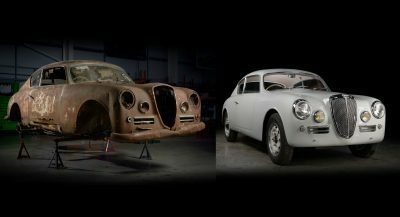 ), suspension and steering components had to be properly modified or relocated to maintain proper balance. 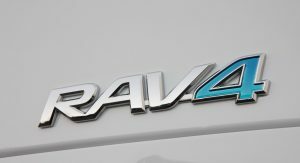 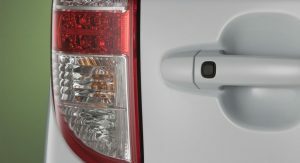 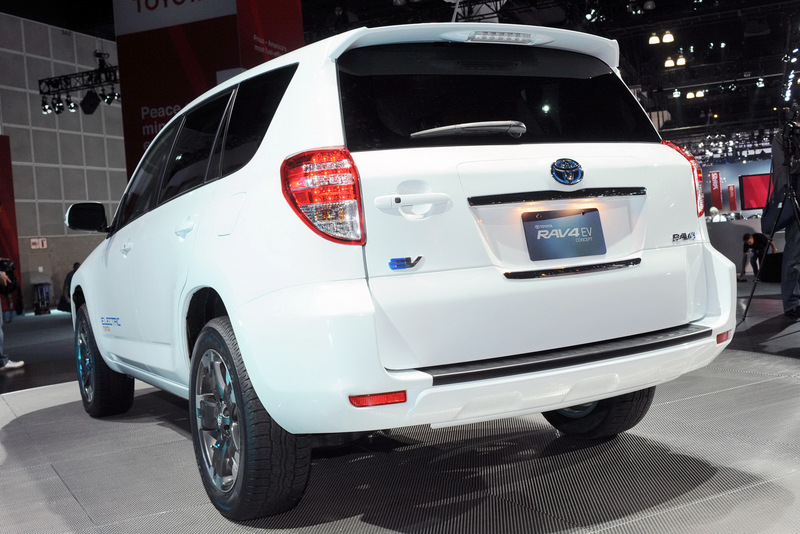 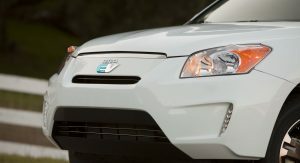 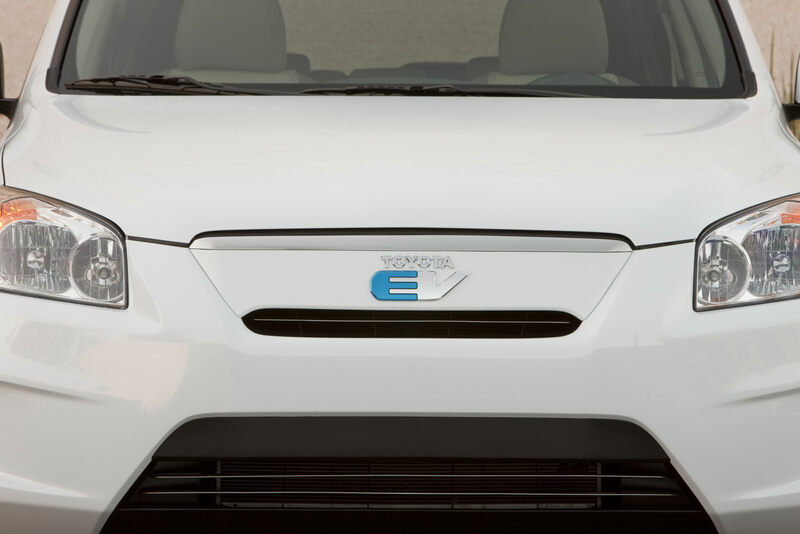 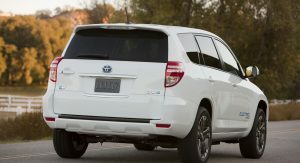 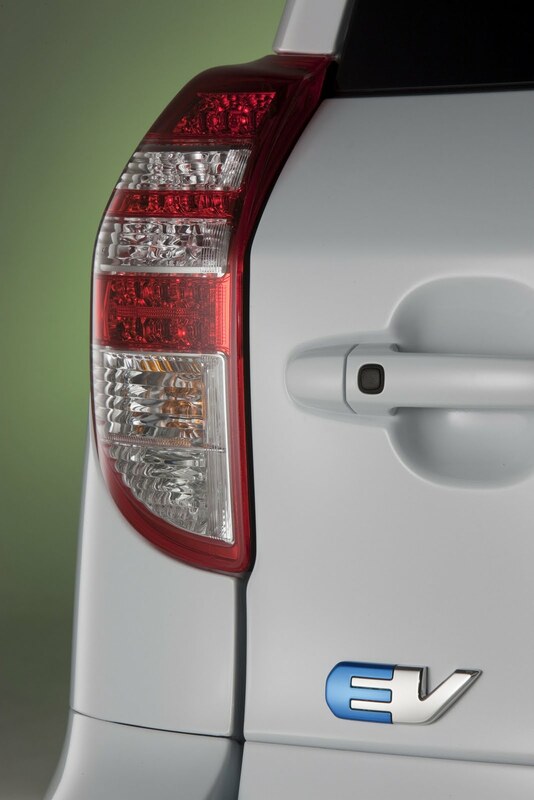 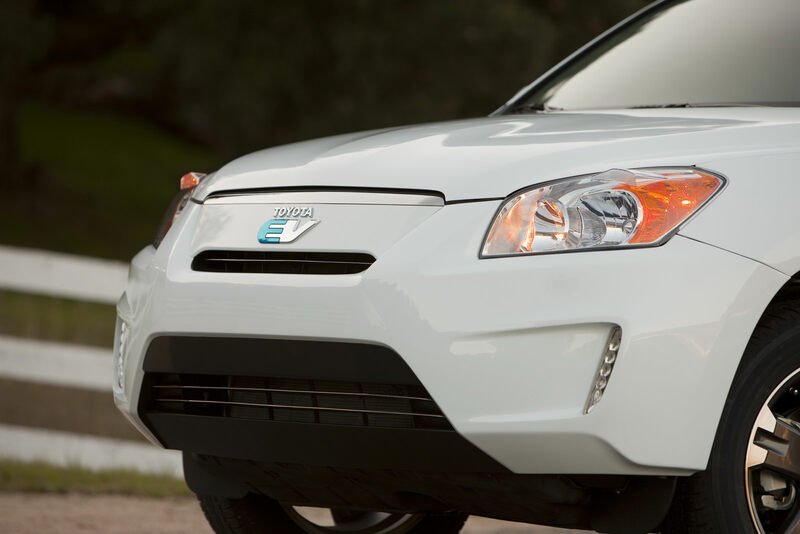 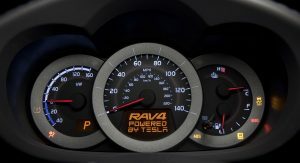 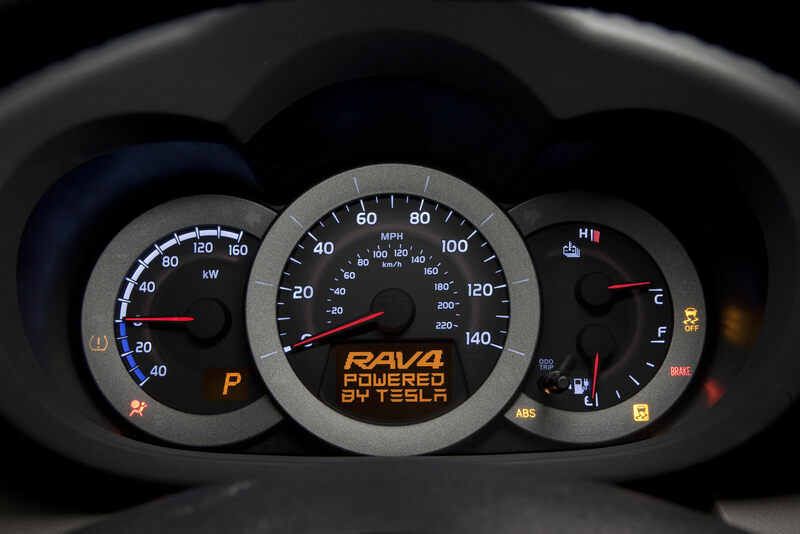 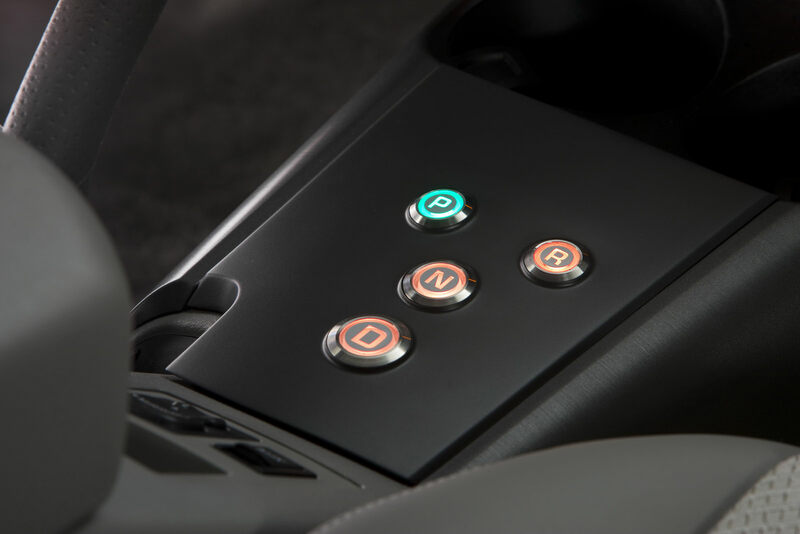 Exterior changes for the RAV4 EV were limited to an all-new front end, while interior enhancements include a push-button transmission shifter, EV-only displays/meters, and new seat trim. 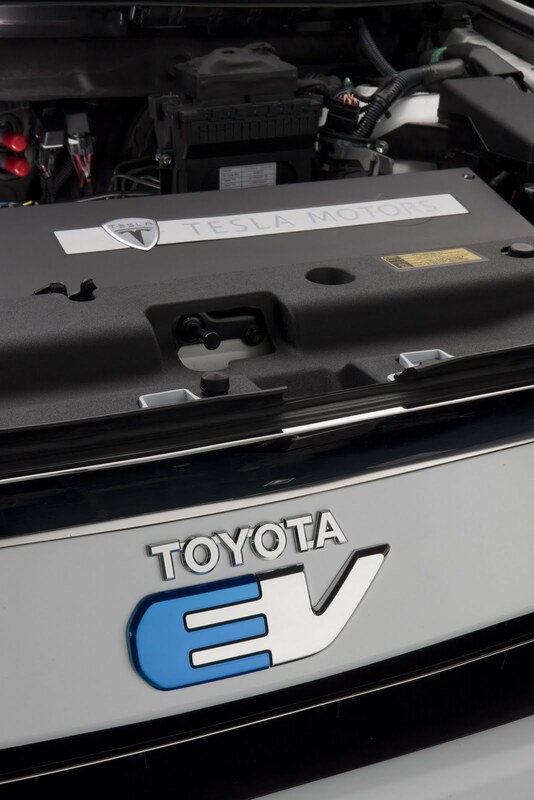 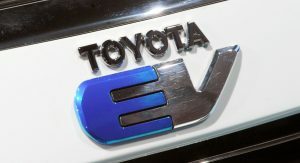 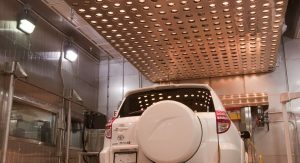 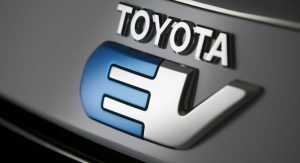 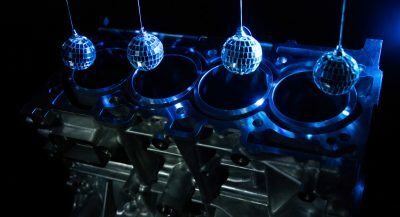 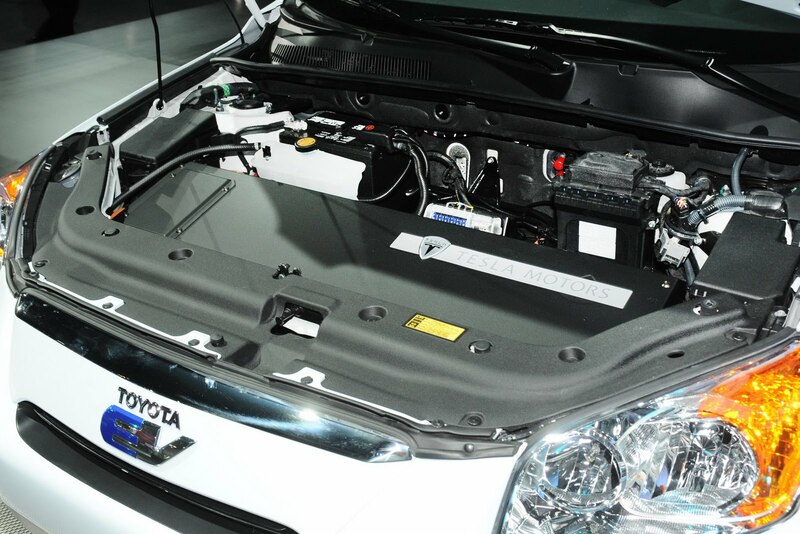 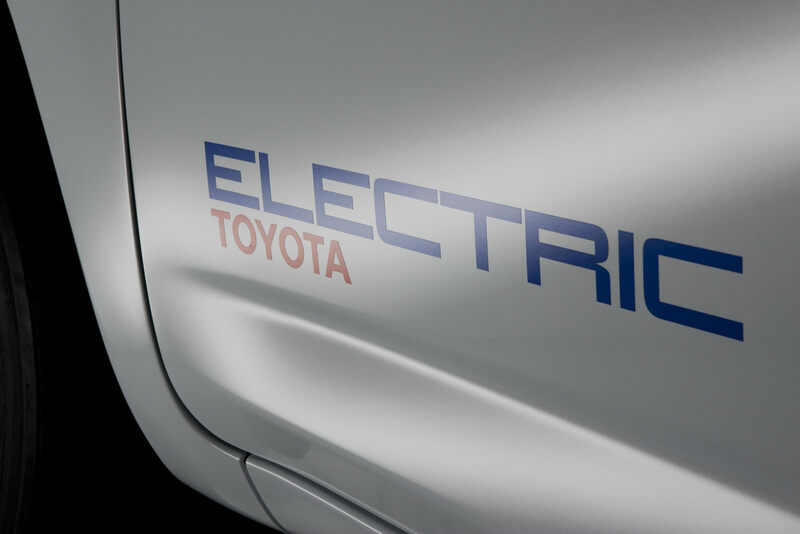 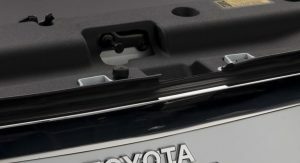 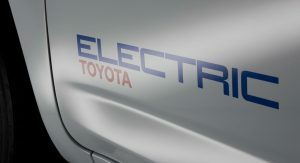 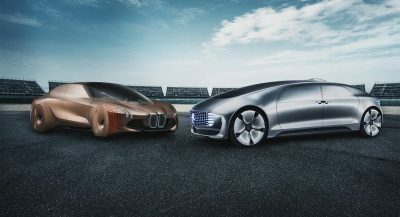 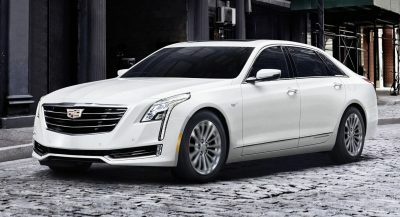 No official numbers or production info have been released, but Toyota is currently testing the vehicles with lithium metal oxide batteries that with “usable output” somewhere around 30-35 kWh.